This year for the first time I’ve had success growing French tarragon particularly in our tiny garden at our beach place. I don’t why but this year it has flourished. So, in the last little while I’ve used tarragon a lot. Last night I made this sauce and spooned it over pan fried hapuku but any white fish is great as well as salmon. It’s just as good with chicken (then I use chicken stock instead of fish stock). Best of all there are hardly any ingredients and it’s quick. If you don’t have ready access to fresh tarragon, come to the market. If you buy fruit and veges from Jason, you can help yourself to herbs available by the cashiers. Tarragon is often there. Heat a little oil in a pot and add the shallots. Cook on a low heat with the lid on for a few minutes until the shallots soften but don’t brown. Add the wine, bring it to the boil and simmer until the wine has totally evaporated. Then add the stock and the tarragon stalks (there for extra flavour). Simmer until the stock has reduced by about a third. Add the cream (if you don’t have crème fraiche add another ¼ cup cream here). Simmer for a few minutes until the sauce starts to reduce. Take out the tarragon stalks and add about half of the chopped tarragon and all the parsley. Blend till smooth using a stick blender into the pot. Place back on the stove and stir in the crème fraiche. Add most of the rest of the tarragon leaving a little for final garnish. Simmer the sauce very gently while you cook your fish. If you want it to be very thick keep it simmering longer. 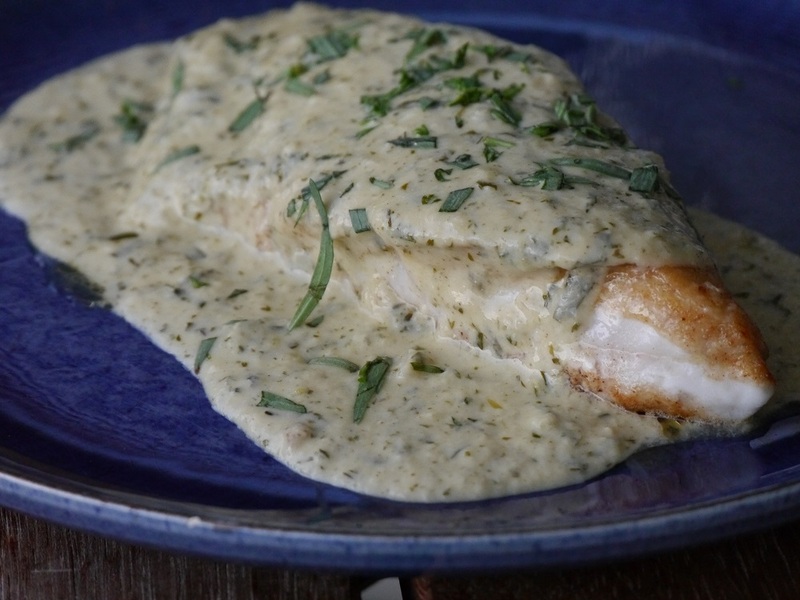 Pour the sauce over your cooked fish (or chicken) and garnish with the rest of the chopped tarragon.